Natalie Gahrmann has been frequently interviewed and quoted in print and broadcast media. Any and all inquiries should be directed to Natalie Gahrmann at 908-281-7098 or via e-mail. Better Homes & Gardens: Paging a Parent Coach? Career Builder’s Career Driven.com: 6 Tips for Balancing Work and School NEW! Courier News: Parent-to-Parent Coaching Sessions Planned in Hillsboro. Fabulosamentelatina.com: Can We Really Have it All? NFIB: Tips for a Good Work-Life Balance–When You’re a Caretaker NEW! NY Daily News: Work Life Issues are a Family Affair NEW! 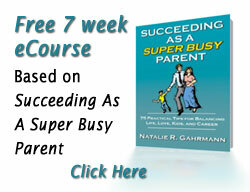 Parent Magazine: Juggling Your Kids and Job NEW! PM Magazine (Issue 8: Nov. 2010): Can You Really Have it All? NEW! PM Magazine (Issue 9: Feb. 2011): Time Management – Plan a Productive Year NEW! The Olympian: I’m Learning to Put down the BlackBerry and Pay Attention NEW! The Star (South Africa): Longing to be a Stay-at-home-Mother NEW! 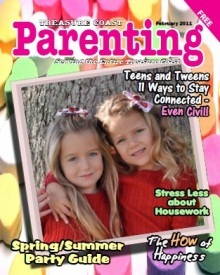 Treasure Coast Parenting (2010-2011 monthly articles) NEW! WebMD: Is Guilt Getting the Best Of You? Share Your Thoughts: Please e-mail Natalie or call 908-281-7098 so we can continue to provide you with resources to help your readers and audiences.